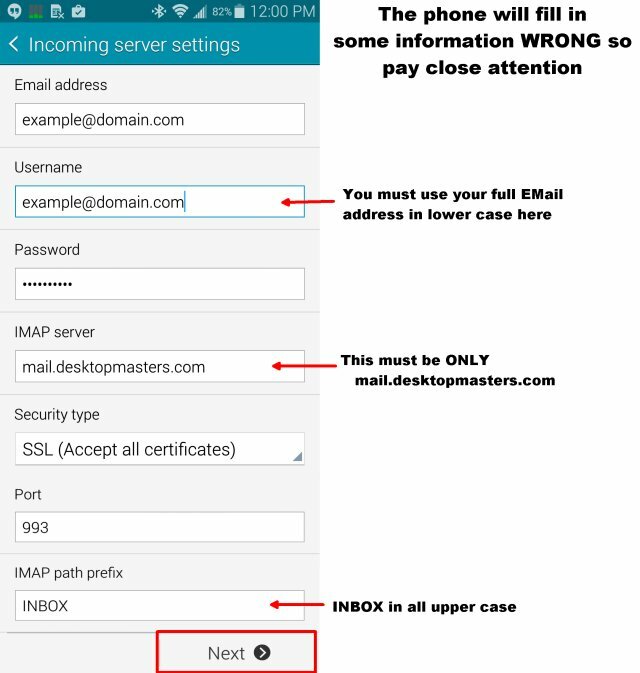 The intent of this document is to give you some help in adding your Desktop Masters hosted eMail. Only the information specified as case sensitive is case sensitive. 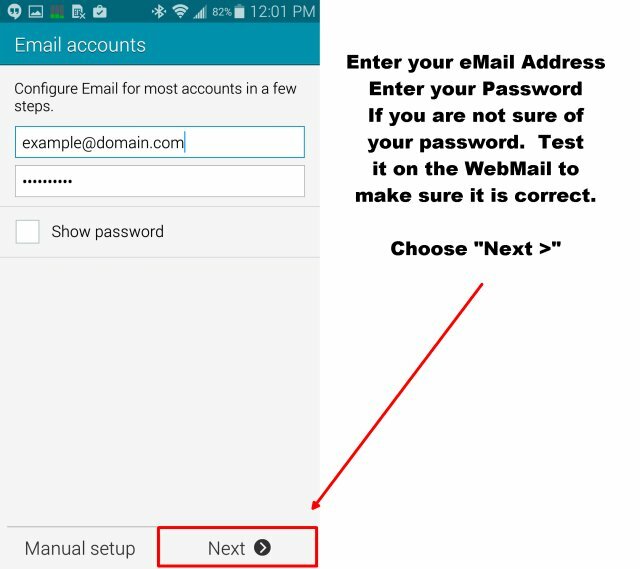 If you are not sure you know your password test/verify it by logging into the webmail here. 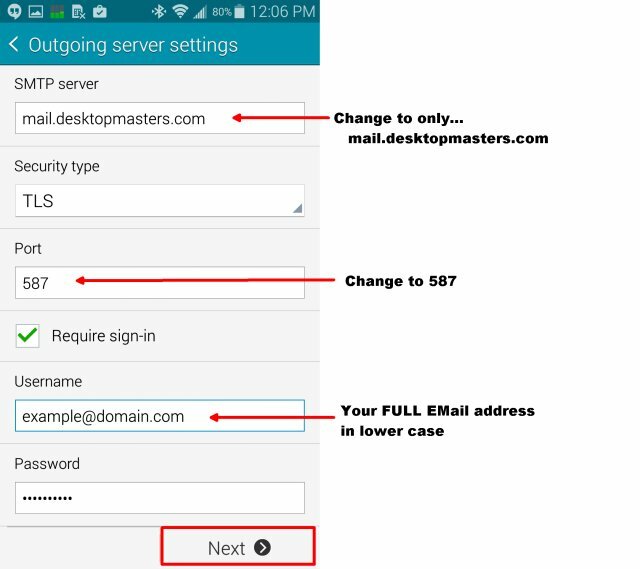 If you are still using the password that was assigned to you, you must first make up your own password and switch to it by following these directions before configuring your phone. 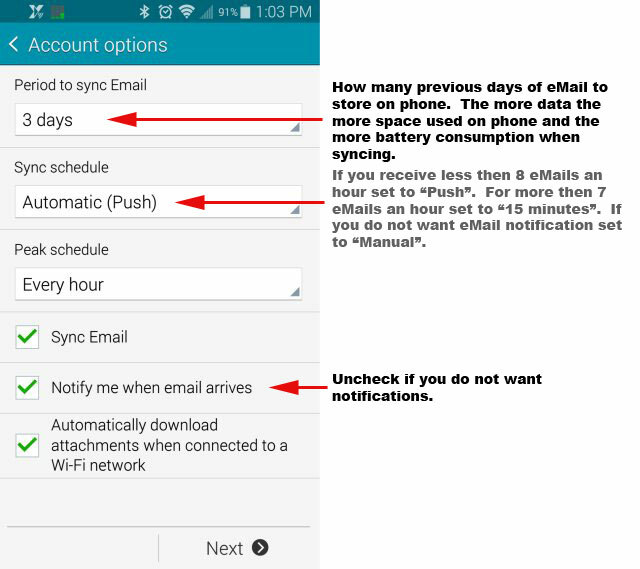 The interface on the Android is different from phone type to phone type so the instructions may not be exact. You may need to improvise a bit. If you are confused call your Desktop Masters support line. 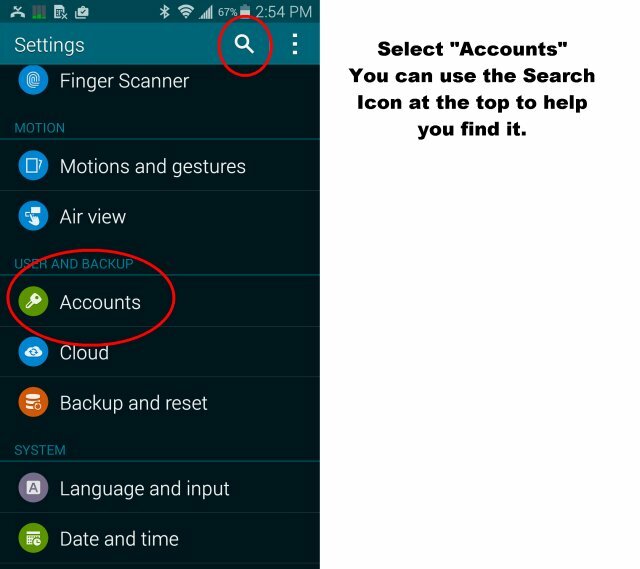 You may skip the basic information section and go right to the pictures that walk you through how to setup your phone. Note: You must authenticate with your FULL eMail address in lower case for inbound AND outbound mail. 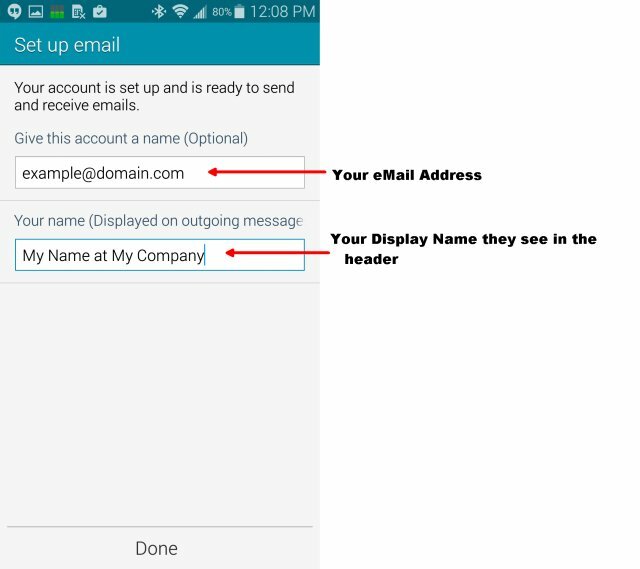 (Some mail apps will auto type your eMail name but not the full address make sure you check it and make sure you put your eMail and Password for outbound mail ALSO. In some mail clients that requires going to the “Advanced” or “More” Section. 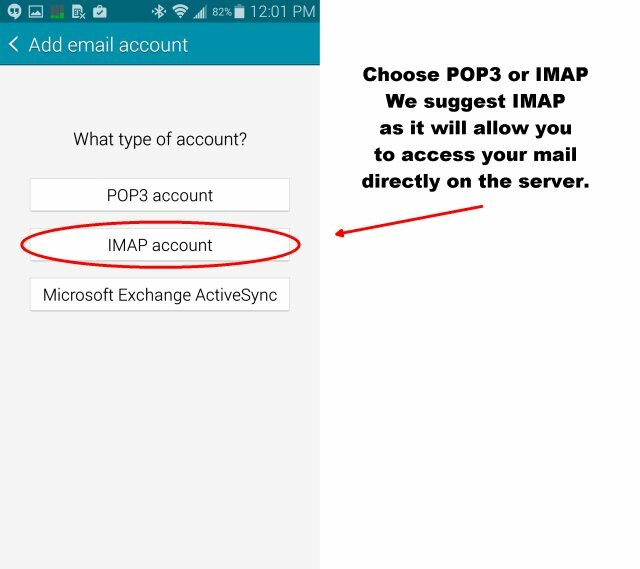 Do not leave your mail on the server for more then 14 days if you use POP3. 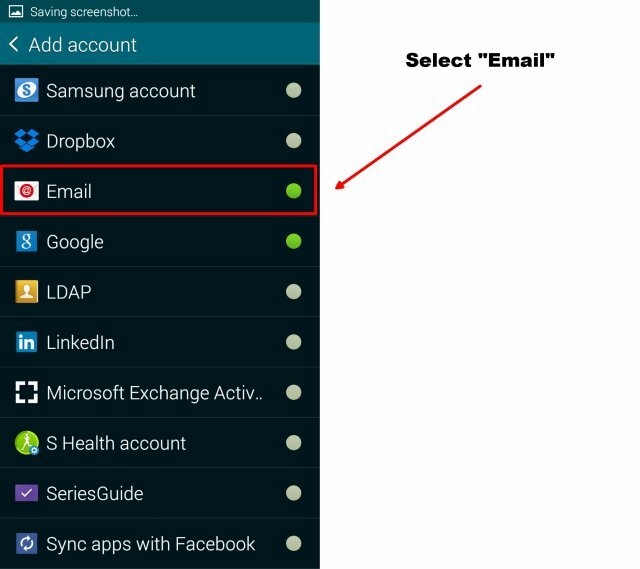 Note: If you have no preexisting eMail accounts you need to remove you can skip this section. Note: On some phones you get a list of accounts. Press and hold your finger on the account to remove. 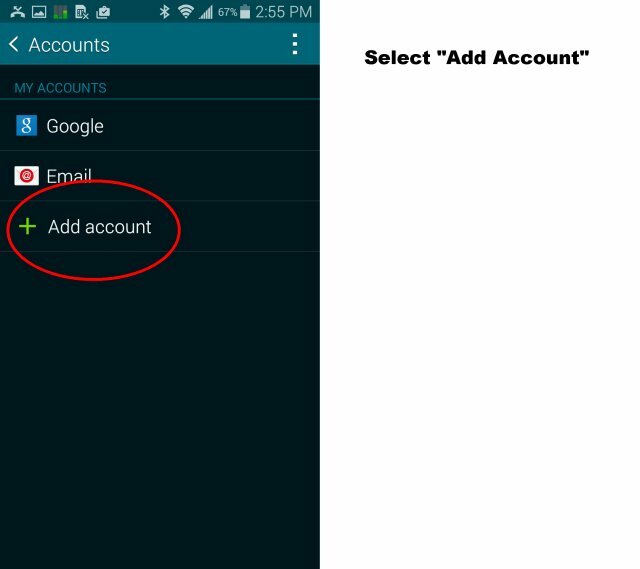 If you did not see a trashcan at the top right select the account then at the bottom of the resulting menu list you should see “Delete Account”. Below are all the steps you need. The pictures may vary depending on the phone and version of Android you have. Be sure to click the title of each step to reveal the picture if it is not already being displayed.